Fertile Ground Patron Wayne Sleep OBE will be in the audience at The Customs House on Sunday 22 March watching Fertile Ground perform the final part of their Spring 2015 Tour. Fertile Ground, the North East’s first professional graduate dance company, will be finishing their Spring 2015 Tour with a very special guest in the audience. Wayne Sleep OBE will be in attendance on Sunday 22 March as the company perform their final tour date at The Customs House, South Shields. The Gala performance will showcase the full selection of company works, which have toured across some of the region’s leading cultural and heritage venues, including works by renowned choreographers Tom Dale and Eleesha Drennan. 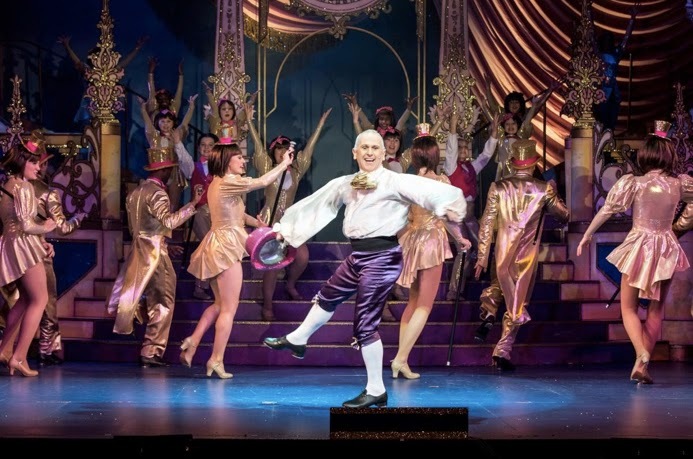 Wayne Sleep OBE offered his support to the company and became patron in February 2015, stating " Fertile Ground helps young dancers to develop professionally. I know that this company will inspire everyone, and wish them great success as they embark on the region-wide tour." 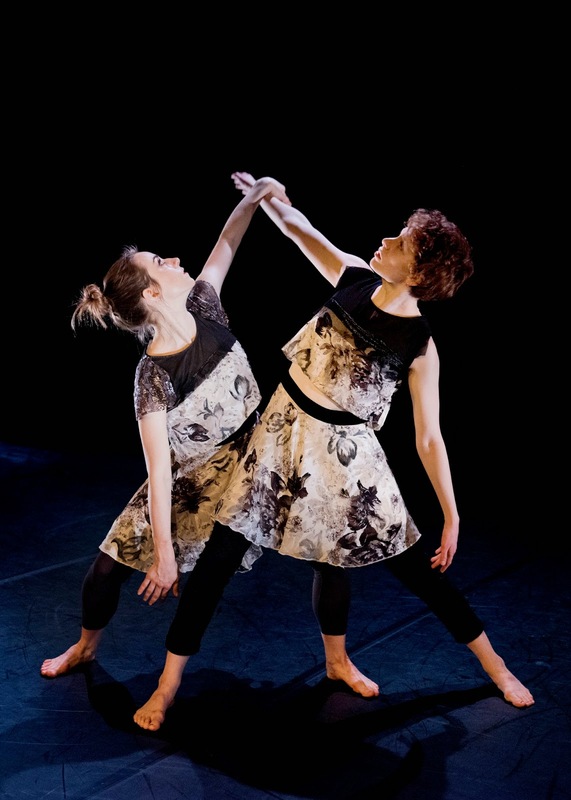 Fertile Ground began their tour on Thursday 12 February at The Maltings Theatre, Berwick-upon-Tweed, and have spent the last month taking dance to new and unusual settings, including Bede’s World in Jarrow, The Bowes Museum in County Durham, and the Discovery Museum in Newcastle. The Customs House Gala performance marks the end of Fertile Ground’s sensational first season. Fertile Ground’s four graduate dancers – Alicia Meehan (Northern School of Ballet), Alys North (Northern School of Contemporary Dance), Kayleigh Fisk (University of Sunderland) and Holly Bellamy (Teesside University) – have built an exciting repertoire of works, taking inspiration from local sites and exhibitions. Dance duet ‘Land’ draws influence from Discovery Museum’s exhibition ‘Destination Tyneside’, while company work ‘On the Darkened Wing’ was created in response to The Bowes Museum’s ‘Bird’s of Paradise- Plumes and Feathers in Fashion’ exhibition. The company will present these North East inspired pieces along with works by high profile choreographers Tom Dale and Eleesha Drennan, ‘A New Chimera’ and ‘Shields of Bone’. The show opens with ‘NOW’, a dynamic dance work choreographed by the company’s Artistic Director Dora Frankel. Fertile Ground aims to nurture, challenge and inspire a new generation of dance artists to develop and present inspirational and accessible dance opportunities. “As the North East’s first professional graduate dance company, Fertile Ground offers a much-needed bridge between University study and the professional dance industry for some of the region’s most talented young dancers, while at the same time offering audiences the chance to see new, high quality work made right here in the North East.” Anthony Baker, Dance City Artistic Director and Joint CEO Dora Frankel adds, “We offer dance opportunities to some of the region’s most talented young dancers to work, train and perform intensively with outstanding guest teachers and choreographers. By developing our dancers and choreographers we hope to see a real increase in the number of artists staying in the region over the next five 'I am really delighted and moved that Wayne Sleep has offered his support - it means a great deal to me and to the whole company that someone of Wayne's reputation has spoken so warmly about our work. High profile guest choreographers include Tom Dale and Eleesha Drennan. Tom’s work for youth companies include The Rite of Spring and leading a Professional dancers’ Choreographic Residency in Cuba in 2012 with support from the British Council, while his performance career includes working with Matthew Bourne in the Adventures in Motion Pictures production of Swan Lake and in dancer roles with English National Opera and Opera North. Eleesha Drennan is a recipient of this year’s Sky Academy Arts Scholarship, out of over 1,000 applicants. In 2012 Eleesha was awarded 1st prize at the 16th International Solo-Dance-Theatre Festival Stuttgart resulting in a tour of in Germany, China, Brazil and UK. She then undertook a choreographic residency with North Netherlands Dance 2012 and was House Choreographer of National Dance Company Wales from 2011 to 2013.